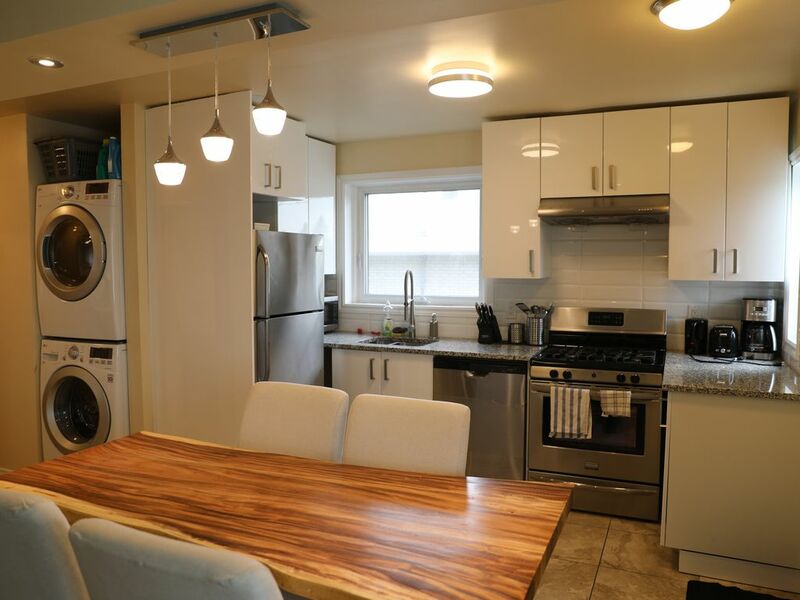 This comfortable 3 bathrooms Bungalow is located at Bank St & Walkley Rd, Supermarkets, Restaurants, Shopping plaza nearby, 7.3 km to Parliament Hill or Airport. The Bus stops and Transitway is within 600 m away, very convenience to go everywhere of the city. The house has a long driveway, could park 3 cars on it. We provide free wi-fi, basic cooking tools and on-site laundry, suitable for family, travelers, working crews and students. The host/operator is living in the basement (separate entrance). Good location overall but in a tough part of town. Nice amenities. Very simple interior. Front door needs a more secure lock.